For a lot of people, cars are more than just a ride. They are image, they are the thrill of speed and maneuverability, they are fun to tinker with; no matter, if you dig cars, it doesn’t really matter why, you just know it. However, for the cars on this list, they are not just for the car enthusiast. These are true works of art. They represent breakthroughs in design and engineering, and remain completely distinct from any of the cars on the road as we know it. And there is no denying that fact that, oh yes, they are cool and we would love to take one for a spin (even better if your friends see you behind the wheel). This had to be included on the list from the rare factor if not for the functionality element. It made a tremendous splash when it was first introduced, designed to enhance the safety of the Pope during public appearances when moving down a street or thoroughfare. The old days when the Pope would travel in his sedan chair with burly carriers at the side, known formally as the sedia gestatoria, has given way to the modern age but with security enhancements. The first version – beta trial almost – was in 1979 with a Ford Transit truck converted for Pope John Paul II during his first visit to the UK. One of the current models is actually based on an M-Class sports-utility vehicle built in the United States. 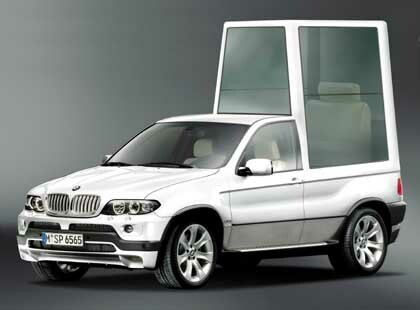 The ML430-based Popemobile was presented to John Paul II in June 2002. After an unsuccessful assassination attempt in 1981, the Popemobile features bullet proof glass that fully encloses the Pope. Innovation to the vehicle also includes modifications by the Secret Service to provide access to the Papal payload from the driver’s compartment, which was done during the papal visit to the United States in September 1987. One of these vehicles has been retired and is currently on display at the Mercedes-Benz Museum in Stuttgart, Germany. As a point of interest, Pope John Paul II once requested that the media stop referring to the car as the Popemobile, saying that the term is �undignified�, but to this day, the term has stuck and Popemobile continues to be used. 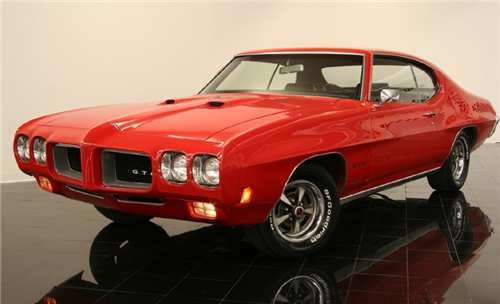 As the Shelby Mustang is the classici American design/performance combo, the 1970 GTO is the classic muscle. The design came from John DeLorean, who would later produce a gullwing classic of his own, with the name inspired by Ferrari (250 GTO). This is the car that has entered into legend as the cowboy image of tough guys in fast cars, the Harley of the 4-wheel world. While movies such as Vanishing Point and Two Lane Blacktop helped instill the fast machine into pop culture, it has endured and remains a cool car to this day. This is on the list again from the rarity and novelty standpoint. 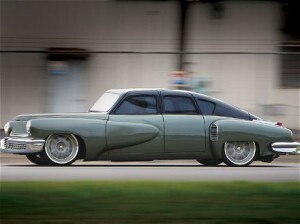 Having a DeSoto would be like having a live Dodo, the last of the breed before complete extinction. The DeSoto, named after a Spanish explorer, was introduced in 1929 by the Chrysler Corporation. The vehicle fared well during the pre-WWII years, but faced heavy competition from its sister brand, Dodge, and had significant engineering design problems in its Airflow bodies. In its heydey the car sold a respectable volume, was used as an Indi pace car and was well regarded. Quality issues started to appear in the late 1950′s, and the reputation in the market faltered, while the Dodge brand, sold in a close price point by the parent company of each, grabbed share from DeSoto. DeSoto lost its place in the market in large part due to the quality lapse and the strategy of brand and placement – it lost its unique appeal and was not supported by the company. The last DeSoto was produced in 1960, and along with classics like Studebaker and Packard, is now an item for collectors. The DMC-12 was developed by the Delorean Motor Company in 1975, began production in 1981 and ceased production due to company bankruptcy in 1982. The man behind the car and the company, John DeLorean, had been a rising star at General Motors Corp. in the 1960s. 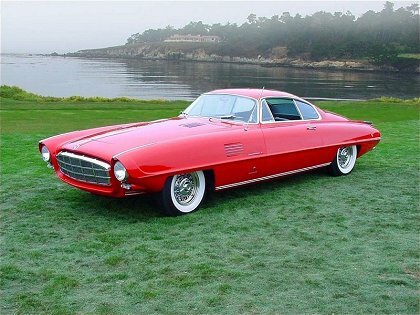 He is credited with conceiving the GTO and the Firebird when he decided to chuck it all and start his own car company. While it performed well by the standards of its day, and was in demand when production began, the DMC is most famous for its use as the time machine in the Back to the Future movies, although the high profile legal battles of the company founder John DeLorean rank a close second for its notoriety. Of 9,000 cars built from1981 to1982 about 6,500 are still on the road or in collections. The DMC company has been resurrected under new ownership in Dallas where some cars continue to roll off the line. The car built by Preston Tucker, the “Car of Tomorrow” was first unveiled in 1947, in Chicago, and was billed as the first completely new car in 50 years . The first model was a six-passenger four-door sedan, featured the first American rear-engine design and a six cylinder engine of a new design that gave it the title “the most effective power plant ever built on wheels”. In fact, the new engine was designed so efficiently that in times of repair or other work, it could be fully removed and replaced in under 30 minutes. Another innovation was that the headlight followed the curves in the road and had a photoelectric cell that automatically dimmed with the approach of another car. Safety features included a windshield made from a single piece of curved safety glass; the car doors opened into the roof so it would not be necessary to stoop getting in and out of the car. Preston Tucker was a master salesman and martketer, as seen with the launch of the vehicle: at the “show”, he arranged for several shapely girls to gracefully walk a ramp with replicas of the scores of automobile parts that the Tucker would eliminate and flipped them into a waiting trash can. Oops, there goes the clutch. So long to the transmission. Who needs a differential? The Tucker had eliminated all of these backward parts, along with the drive shaft and torque tube. However, he was also assailed by government securities regulators and, though eventually acquitted, lost his investors through allegations of securities fraud. Some believe that there was a conspiracy afoot from the Big 3, though this has never been proven. Only 50 cars were ever manufactured, which today are valued at $500-750,000 each. 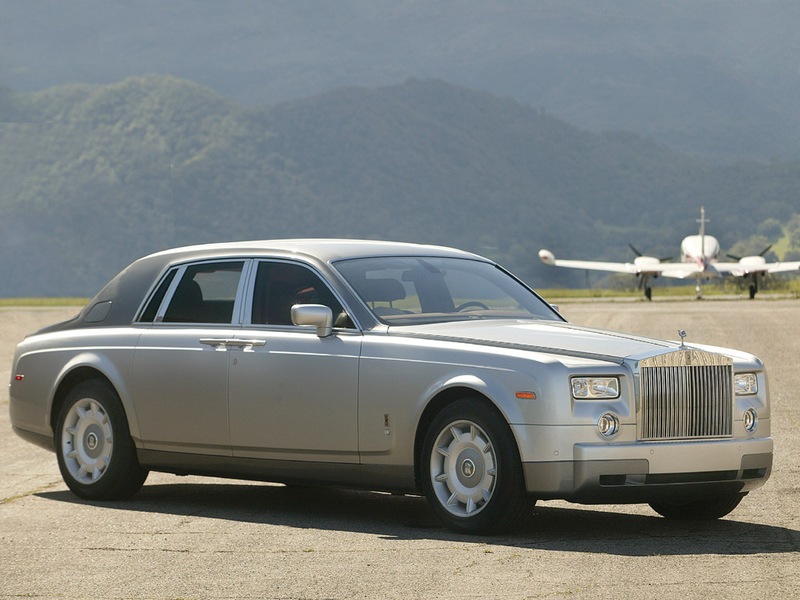 Any cool car list has to have a Rolls on it, even if just for the lap of luxury factor. LThere are a lot more cars on this list with the heavy eye candy element, but his is one way to travel in the ultimate style and comfort. 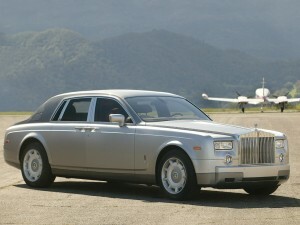 Not much else to say about this – it’s a Rolls! 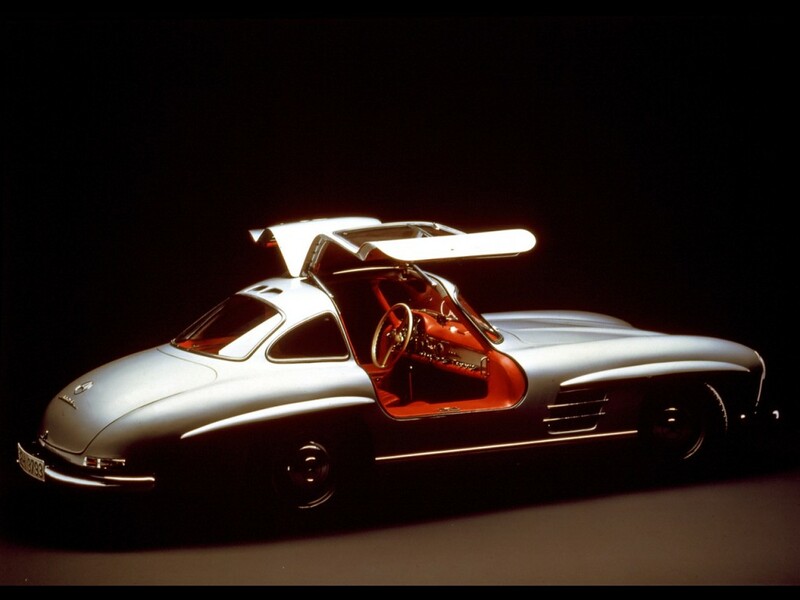 The production version of the 300 SL Gullwing was introduced at the 1954 New York International Motor Sports Show (‘SL’ stands for ‘Sport Light’). The body design was revolutionary but presented one problem: the design of the frame left no room for traditional doors; an essential part of the frame lay right where the door hinge in a conventional car would have been. The solution: put the hinge on the roof and let the door swing up. It was nothing like anything anyone had ever seen before, and so was created the gull wing door, which future designs by Bricklyn and DeLorean would borrow from. Other notables about this classic car include being the first production car to use fuel injection. And there was no doubt about the car’s ability to perform. In 1955, Stirling Moss drove a 300 SLR to victory in the 1955 Mille Miglia where he averaged a speed of 157.6 km/h for 1,600 km. (97.9 mph for 994 miles). Production ran for only 3 years for a total number of 1,400 cars coming to market, when in 1957 the problematic gullwing doors were replaced with conventional doors and the model was reintroduced as the 300SL roadster. Apparently it is a car that really holds its value: in a 2007 auction in California, an original Gullwing sold at auction for $726,000. 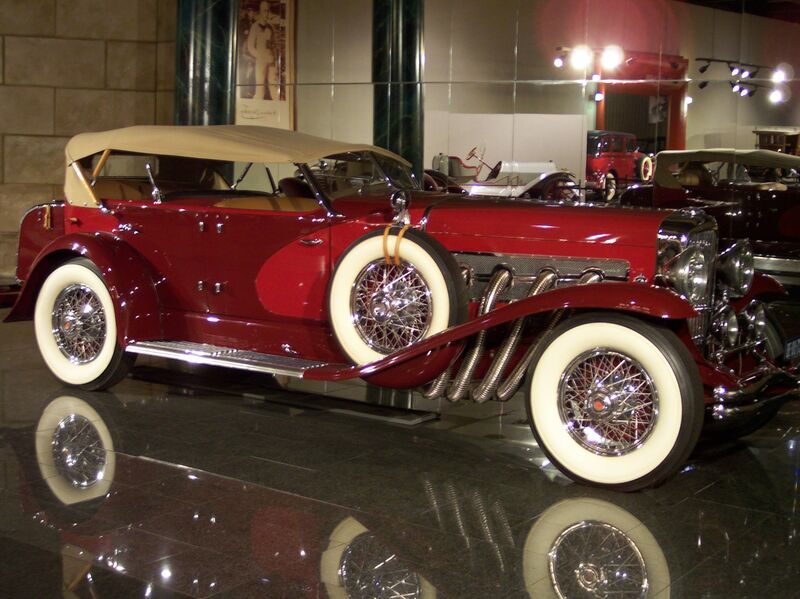 The Duesenberg was the brainchild of two brothers, Frederic and August Duesenberg, who designed and manufactured the classic automobile. They began, however, as with two-wheeled machines, building bicycles. Their bikes quickly gained fame as winning many competitions, and business thrived until an economic downturn at the turn of the century in the US caused the business to close. Now having become racing enthusiasts, the brothers looked to cars, the newest racing speed machine, and began an operation making cars under the Mason brand name. Fast forward several years, and the Duesenbergs won the Indianapolis 500 in 1924, 1925 and 1927 after several engine modifications and re-branding their cars. The great racing reputation unfortunately did not jump start commercial sales, and while the brothers were once again at the brink of the financial abyss, a savior by the name of Erret Lobban Cord showed up to provide backing and save the day. What Cord had in mind was to translate Duesenberg’s racing exploits into an ultra-luxury line of vehicles for the street, “The World’s Finest Motor Car”. This allowed the car to flourish, a feat quite remarkable especially given that during the hardest economic times of the century and ultra-luxury car could be introduced and succeed. To show its upscale appeal and its promise of luxury, a basic chassis often sold for more than $8,000 and custom coachwork then added $4,000 -$7,000 more, in 1920 dollars. Duesenberg ceased production in 1937 after Cord’s financial empire collapsed, however between 1937 and 1940 two automobiles put the final touch to this historical marque: the first one was delivered by the coachbuilder Rollson to the German artist Rudolph Bauer in April 1940, it is both the longest Duesenberg and the last one delivered; and finally the last one ever made, which was assembled from leftover parts. 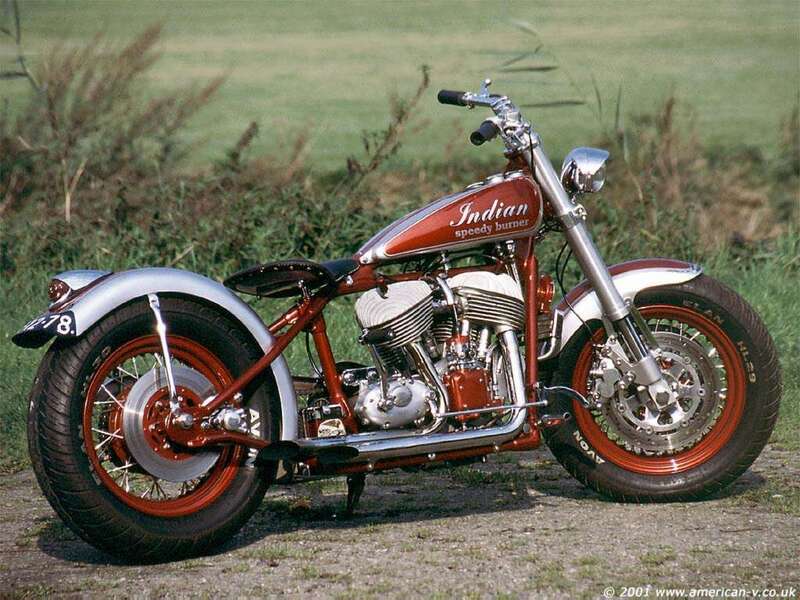 Indian, manufactured from 1901 to 1953, is the first commercially produced motorcycle in the US and during the 1910s, became the largest manufacturer of motorcycles in the world (peaked at 32,000 in 1913). Despite years of misuse and unauthorized applications, the brand has survived as a favorite representation of the glory days of Americana and is widely seen on merchandising, yet is not connected with the original manufacturing company. There was an attempt to revive the bike’s production in the late 1980′s, which was not successful and came to a close at the end of the 1990′s. 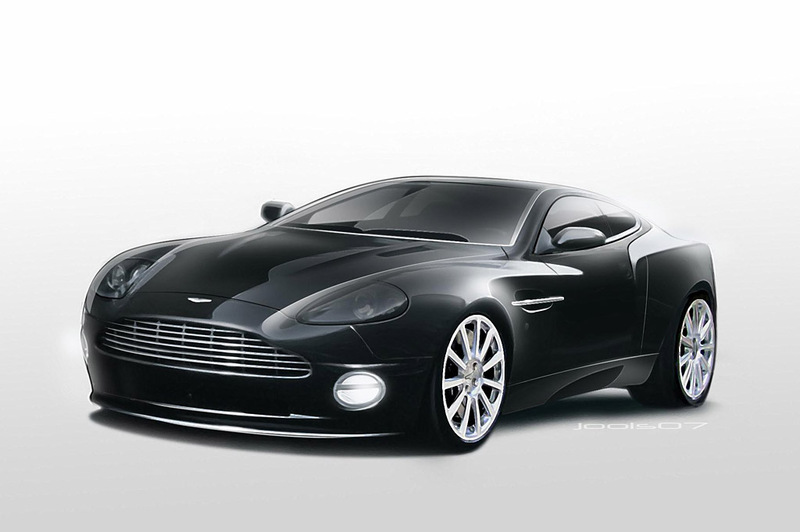 The Aston Martin Vanquish is a grand tourer, designed by Ian Callum and manufactured by Aston Martin. 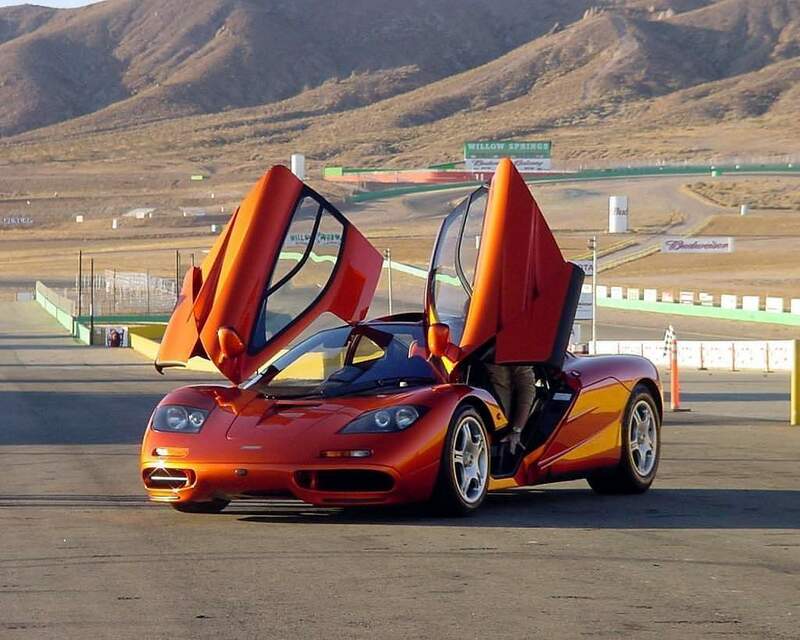 Aftewr its debut as a concept car in 1998, a production model was unveiled in 2000 with production beginning in 2001 (the car arrived in the United States as a 2002 model). From its 2001 introduction to its cancellation, it was Aston Martin’s flagship vehicle. Its rise to recognition by the wider public came after being featured as the official James Bond car in the film Die Another Day. It was discontinued in 2007. The end of the Vanquish’s production run was celebrated with the Vanquish Ultimate Edition, in which the last 40 cars built featured a new ‘Ultimate Black� exterior colour, upgraded interior, and personalized sill plaques. Why a Model T? Because it is the car that started the industry. First mass production, first standardized design and feature offerings and first affordable car for the masses. 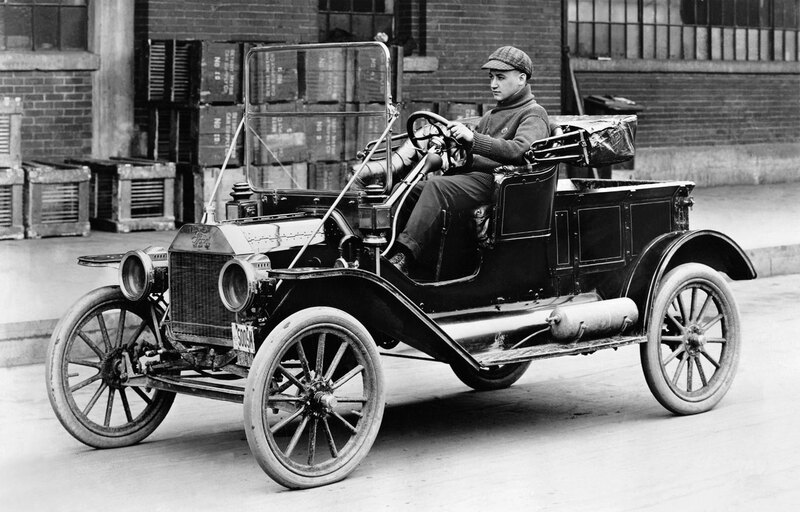 Henry Ford made the automobile to the world and created an industry that changed the face of society. The car may not be particularly rare or even that valuable, but it is the catalyst that cannot be denied. As they say, available in any colour you want as long as it’s black. The classic Vette – this car defines an American era of fast cars. 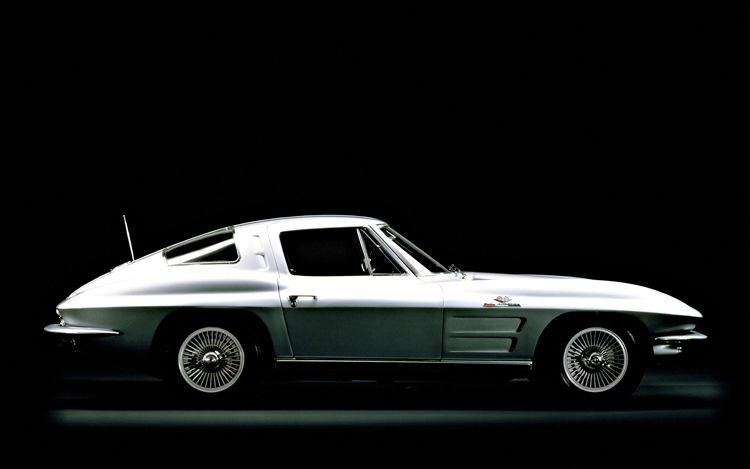 Unlike the American muscle car the Corvette had sleek lines and softer aerodynamic designs. 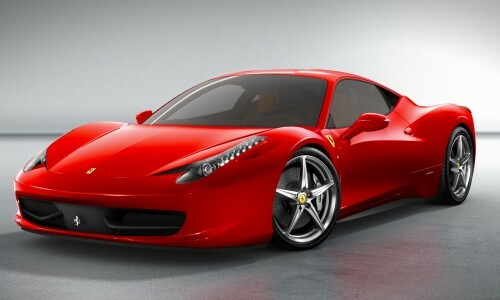 It was made to go fast, with a wide wheelbase for maneuverability and an open top to enjoy the ride. The Corvette was born in 1953, but the model that would set the standard for all future generations appeared a decade later in the legendary Sting Ray. The Stratos was produced by the Lancia division of Fiat as a rally car, and during the 1970s it racked up some impressive wins and championships. 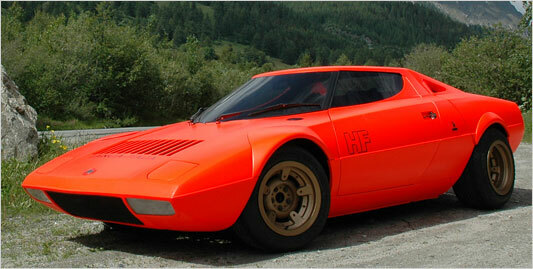 Only 492 cars were produced, making the Stratos a true collectors item. Automobile design consultant Chris Hrabalek has the largest Lancia Stratos Collection in the world – he owns 11 unique Lancia Stratos cars, including the fluorescent red 1971 factory prototype and the 1977 Safari Rally car. Enzo Ferrari was as skilled in the sales room as he was on the racetrack, using the cachet gained by his racing machines to sell cars meant for the street. From the classic Dino to the Testerossa designs, the 458 stands out as a must have car for any enthusiast who likes speed, handling and the pure sexiness of an Italian design. This classic 2-seater sports car, credited by many as the trendsetter for high performance, two-seater, mid-engined sports cars, was produced in Italy from 1966 – 1972. The first model, 275 P400, was produced between 1966 and 1969, and saw about 275 cars built. In another small run, the next model (P400S) had 338 cars built from 1968-71. 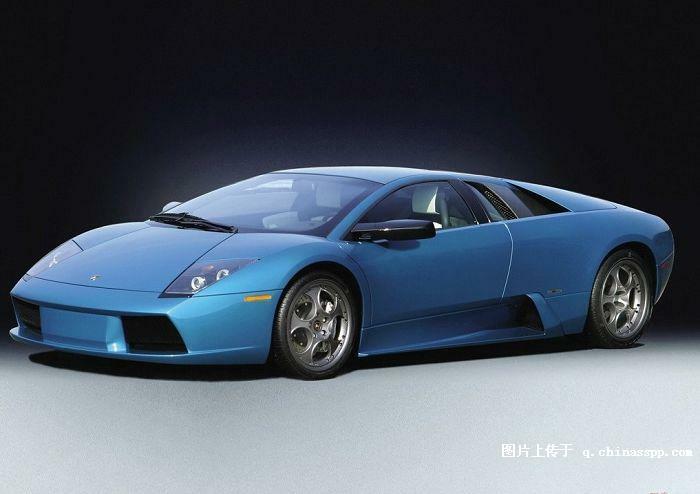 The last and most exclusive model – the P400SV/J – had only 5 cars made (one was for the Shah of Iran) and remains one of the rarest production Lamborghini’s in the world. It was eventually replaced by the better known Countach brand in 1974. Why the McLaren? This is not the car you drive to work in, not the car to do the shopping and not very practical for taking the kids to soccer practice. There is really only one reason – speed. It is fast -really, really fast. In 1998, at 240 mph (391 km/h), the F1 set the record for the fastest production car in the worldand as of April 2009 the F1 is can be passed on an open stretch by only three other production cars. Production began in 1992 and ended in 1998. Only 106 cars were manufactured, 64 of which were the standard street version (F1). And wouldn’t it be great to have one of them in your garage. The Mustang is one of the great equalizers, a car that everyone who likes cars has to have. It is a democratizing force among the car class, whether elite or street, anyone can have a mustang in their driveway and be proud of it. It is not a “look at how much money I have” or a “look at what I can afford to drive” kind of car. It is a “look at how cool I can be” or “see, I obviously know what to drive” car. And as far as having this one particular model on the list, well, it’s an original Shelby, and that is all that needs to be said. true and posting has been revised….thx – it was a gross typo!! It wasn’t an Indian Steve McQueen jumped in the Great Escape, it was Triumph.